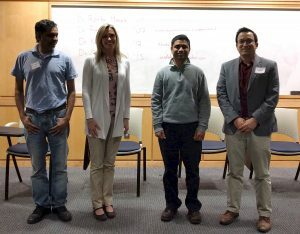 The Department of Chemistry and Biochemistry held it’s first annual graduate research symposium on the afternoon of March 16th 2018. Nineteen posters were presented and returning alumni, Drs. 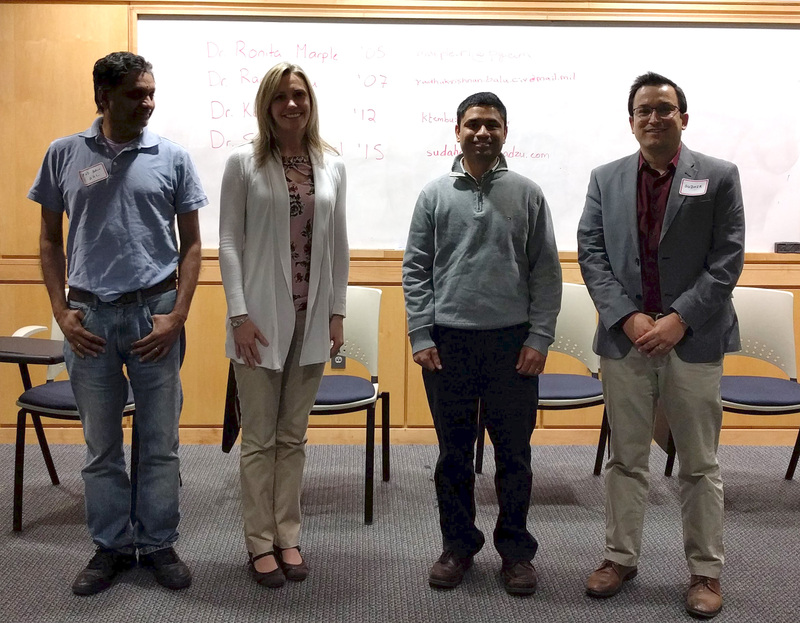 Rad Balu, Sudhir Dahal, Ronita Marple and Kartik Temburnikar along with our current faculty acted as judges. The winners of the research poster presentation were grad student Adam Meares and Erin Kennedy. 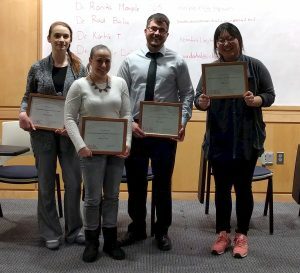 In addition to the research awards, Outstanding Teaching Assistant awards were presented to Scott Riley, Stacey Sova, Nicole Carbonaro and Miji Jeon. We want to offer special thanks to our returning alumni for making this an huge success. Grad Student winners: Erin Kennedy (Research) Stacey Sova (TA Award), Adam Meares (Research) Miji Jeon (TA Award). Not pictured: Scott Riley and Nicole Carbonaro.